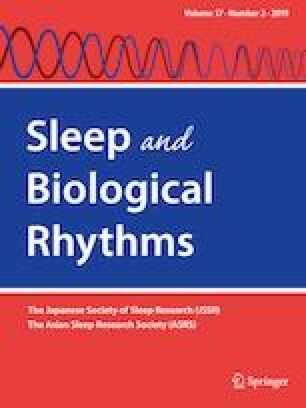 We evaluated the sleep environment factors that influence children’s sleep, and the relationship between co-sleeping and parenting stress and parents’ mental health. A survey was conducted in 115 parents of preschool children and a total of 60 questionnaires completed for children aged 12–84 months were analyzed. The mother’s mental health was evaluated using the Insomnia Severity Index (ISI), the Korean-Parenting Stress Index-Short Form (K-PSI-SF), and the Patient Health Questionnaire-9 (PHQ-9). The children’s sleeping environment and quality were assessed using the Child Sleep Habit Questionnaire (CSHQ) and a sleep environment survey. Children were 28 males and 32 females, with a mean age of 48 ± 20 months. The high score of K-PSI-SF was significantly correlated with the frequency of a child sharing a bed with other children, and Difficult Child subcategory was correlated with the frequency of a child sharing a room with other children or sleeping in a too bright place. The high CSHQ score was correlated with the high K-PSI-SF score, mother’s young age and high PHQ-9 score. In the path analysis, sleeping in the same space with parents can induce sleep problems in the child, resulting in the mother perceiving the child’s behavior as difficult. Also, the mother perceiving her child as difficult was found to correlate with the mother’s insomnia. Our study suggests that sleeping problems occur more often in preschool children co-sleeping with parents than in children sleeping alone. The mother’s parenting stress is likely to be related to the children’s sleeping problems and their sleep environment. This study was supported by a grant (#15-C33) from the Seoul Medical Center Research Institute. SC, JHH, and DSM conceptualized and designed the study. SL, CK, and SY collected the data. SL performed statistical analysis and wrote the manuscript. All authors reviewed the manuscript and approved the final version.